I’m taking a chance on Ben Roethlisberger this week in the hopes that this game becomes a shootout. 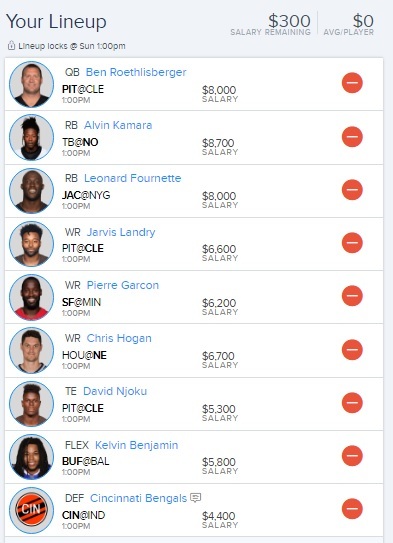 I also like Jarvis Landry in this early lineup as well. Leonard Fournette is set for a monster game and should be in most of your lineups. A good sleeper pick is going to be Pierre Garcon, this is a tough match up for the 49ers, but he should see some touches.